YS Park Hairdressing Brushes are made to be gentle to hair and people. YS Park brushes are designed to be gentle on hair and people. As a result, these hairdressing brushes are renowned for their excellence by professional hair stylists. 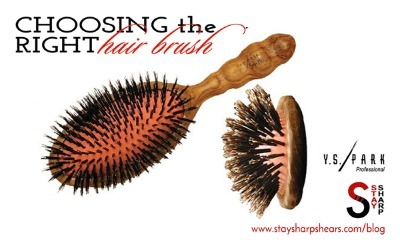 They are often referred to as the best hairdressing brushes and for good reason. YS Park brushes are professional hairdressing brushes that take a hair cutting necessity and bring it a modern update. Try YS Park brushes, a perfect complement to your hairdressing scissors, and you will see the difference. At these prices, you can try a couple! There are a lot of impersonating hairdressing brushes but professional hair stylists can tell the difference; there is only one YS Park. YS Park brushes are engineered to be heat and moisture resistant. The pins are either natural boar bristles, nylon, or polyamide pins and all YS Park brushes have an excellent grip. They will first become your favorite and then only hairdressing brush you use. While there are many great things about the YS Park brushes, the best thing is using them so pick some up today! While you are at it, check out our collection of YS Park clips and YS Park combs, great hair products, amazing prices.